... a collection of educational, useful, or entertaining Python programs you can download, use, play with, and modify. But first, what is Python? Python is an easy-to-learn programming language. It runs on most versions of Windows, MacOS, Unix, and Linux. It is very versatile and can be used for GUI/graphics programming, system programming, text manipulation, and just about anything else you might want to do. These programs were written by me, my dad, and some friends for our own amusement, but we thought they might be useful to others as well. They are "open source" -- you may use and modify them as you wish as long as you leave our names in them. Before you can use the programs here, you must install Python on your computer. Click here to install Python from the official python.org website. We recommend using Python 2.3 or later. Just click on the version you want under "Python versions" at the left edge of the screen and you'll see the Windows installer or other package you need for your operating system. If you are running Linux such as RedHat 8.0 or later, you probably already have Python 2.2 or later installed by default. Long: A simple problem: Take any triangle. 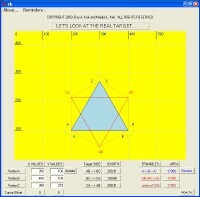 Construct a 30-30-120 isoceles triangle on the exterior of all three sides. Connect the vertices of these new triangles. 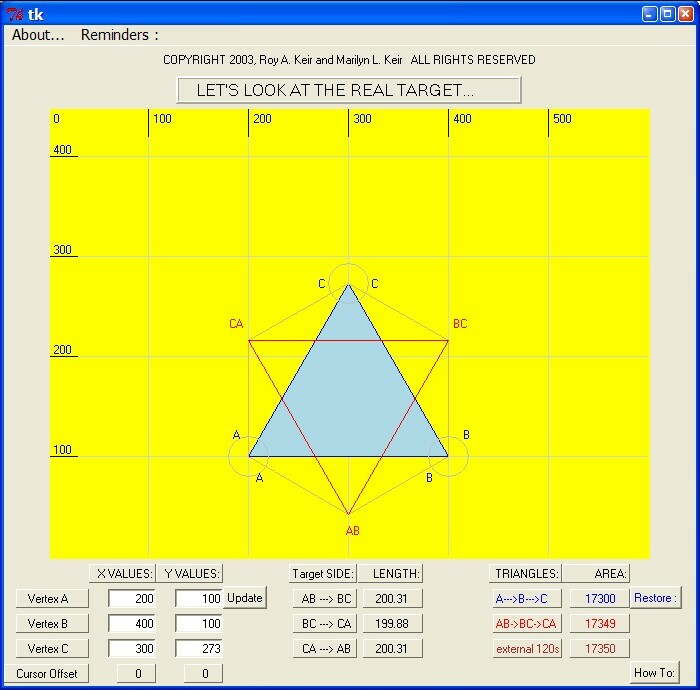 What shape is the resulting triangle? Try to figure it out yourself before running this program, because it gives the answer away by letting you move the vertices of the original triangle and doing everything else for you! Long: A Fourier transform converts a waveform into the frequencies that make it up. 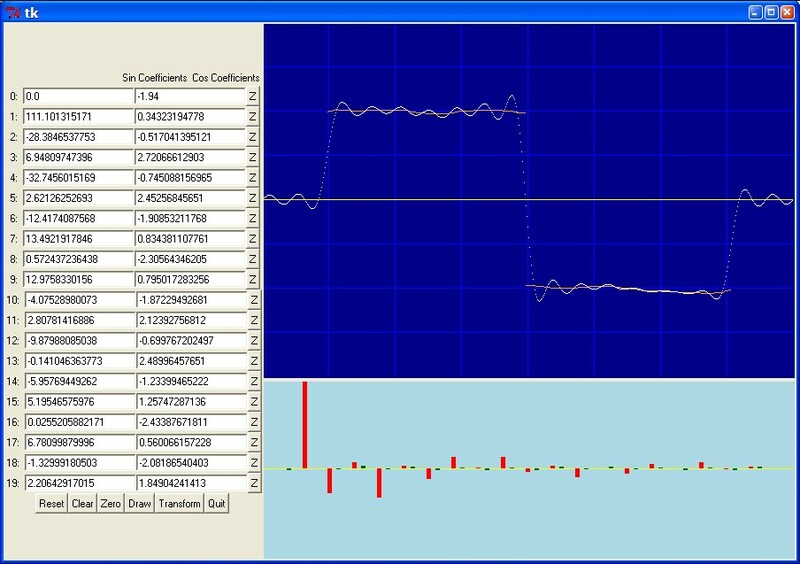 This program lets you draw a waveform with your cursor and calculate the fourier coefficients, or type coefficients in directly and draw the resulting waveform.